The main price points are between 70-100€, but overall, we are seeing a trend to higher price points backed by new styles with special fabrics and quality details and features. How are you segmenting your backpack collection? 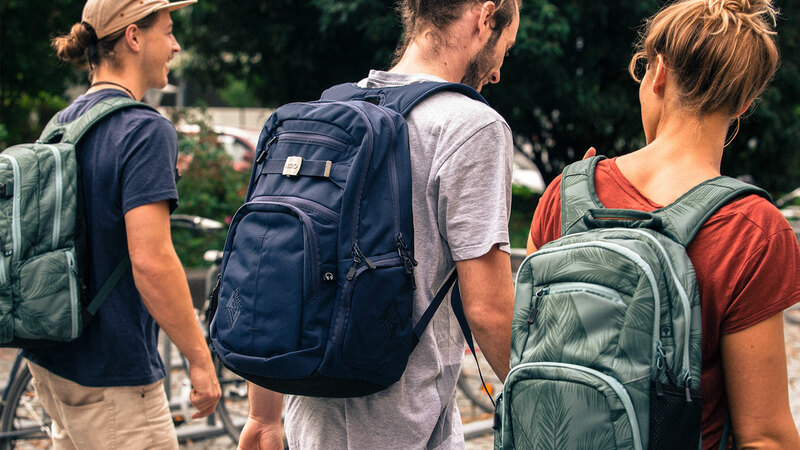 In addition to our outdoor line of technical backpacks, snowboard packs and board bags, we offer a line of day and school bags and an Urban line with a focus on trending styles, speciality fabrics and fashion trims. As mentioned above, we see a market developing at higher price point with very specific bags in a high quality with extraordinary fabrics and details. Styling wise we will see a more sleek and reduced look on the outside while the inside is feature loaded and thought-out. 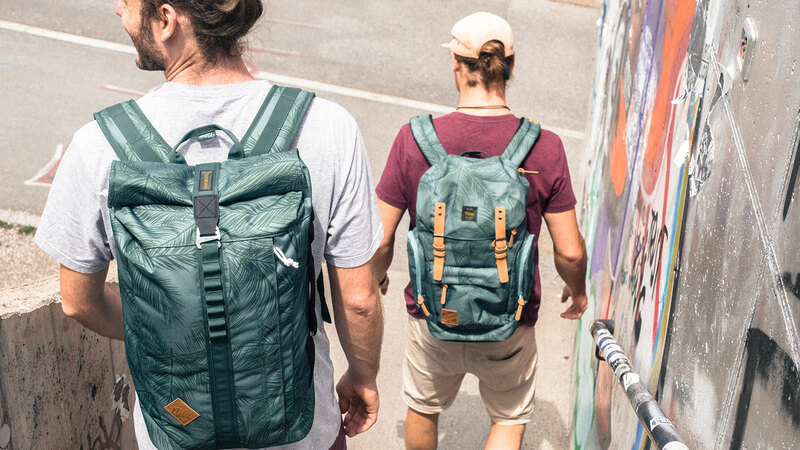 What is your collection theme and which stories are you telling to get customers stoked on boardsports backpacks? Nitro has a 30-year history in action sports and outdoors. We design our bags with a group of athletes and influencers, photographers and outdoor enthusiasts. The bags we design and offer cover the needs of our own lives, follow the styles and trends we get excited about and deliver the functionality we demand. What makes this product category important to your brand? 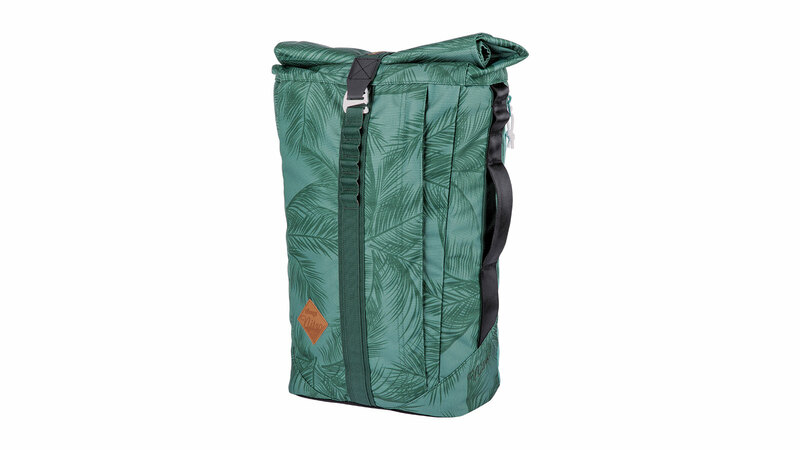 While technical snowboard bags and board bags are natural for NITRO, we all carry bags 365days a year. Bags are a great way to express your style. Bags get people excited. Bags are like shoes, everyone needs them and you can never have enough. On the business side, bags are a great vehicle to give our Brand a presence year round and make Nitro visible in the streets and cities. It’s not a single feature that makes a bag great, it is the sum of functions, details and thoughts put into a product that makes it great. Good examples are SLASH 25pro, the SCRAMBLER bag and WEEKENDER where features, construction, materials and the philosophy behind a brand make it an exciting and desirable product. We are working with a Korean fabric mill to develop custom fabrics with a focus on lowering the environmental impact of our products. For Spring 2019, we introduce BlueSign approved fabrics, switch to C-0 water replants and YKK zipper to maximize the products life cycle. Please name and describe your 3highlight pieces and items that retailers should definitely order. string cord closure plus top flap with metal hook closure, side zip entry computer access, internal padded 15” laptop sleeve, padded tablet sleeve, fleece lined sunglass and goggle pocket, additional zip pocket on the front flap, side pocket for travel doc or bottles, padded ergo straps with adjustable chest straps, soft padded and breathable back panel, gear loops, premium fashion fabrics. Urban mobility bag with roll-top closure, large, size adjustable main compartment with internal zip pocket, padded 15” laptop pocket with external access, quick-access travel-doc pocket, front zip organizer pocket, side handle, padded ergo straps with adjustable chest straps, soft padded mesh back panel, gear loops. WAXED LIZARD colour nylon/cotton canvas.